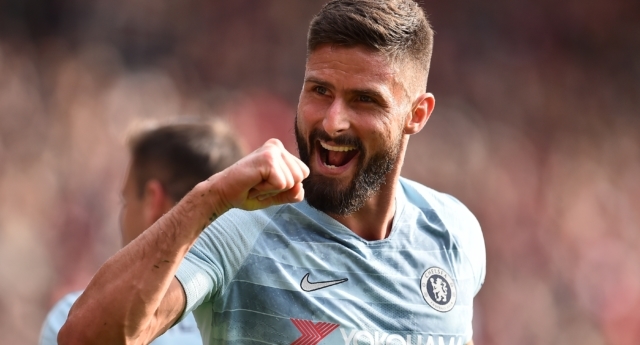 Chelsea striker Olivier Giroud has said that it is “impossible” to be openly gay in football. The Premier League star told French newspaper Le Figaro that when German player Thomas Hitzlsperger came out in 2014 after he retired, it was “very emotional” for him, as it made him realise how hard it was to be gay in the sport. “This is when I told myself that it was impossible to display his homosexuality in football,” said Giroud. “In a changing room, there is a lot of testosterone, rooming together, collective showers… It’s tricky but it’s like that,” added the Chelsea forward. The former Arsenal and Montpellier striker, who Chelsea bought earlier this year, proudly pointed to his work as an LGBT+ activist, for instance when he posed for the front cover of gay magazine Têtu in 2012. “I am ultra-tolerant on it—when I was in Montpellier I was engaged in this fight by posing for Têtu,” said Giroud. In the video, Giroud tells viewers: “I can’t change that I’m gorgeous” while he sprays his half-naked form, a sequence which has since been immortalised in GIF form. What’s changed since Chelsea’s Olivier Giroud posed for Têtu? In 2014, several months after revealing his sexuality, Hitzlsperger—who is still the only Premier League footballer to have come out—said it would have been “impossible” to come out as gay while playing. No-one has seriously disproved that theory since then. Former Leeds United footballer Robbie Rogers remains the second-most-famous player to come out, doing so after he left English football and at the same time that he quit the sport at age 25, albeit temporarily. Earlier this year, during June’s Pride Month, Collin Martin of MLS team Minnesota United came out, becoming the most high-profile current gay footballer. Numerous footballers in the women’s game have also come out while playing, including former England captain and current Manchester United manager Casey Stoney and US World Cup champion Megan Rapinoe. But as recently as September, Arsenal player Héctor Bellerín opened up about the anti-gay abuse he had faced simply for having long hair and taking an interest in fashion. The Spain right-back and Giroud’s former teammate said: “Most of the abuse is online, but you hear it in the stadium too. People have called me ‘lesbian’ for growing my hair.